Utah’s premier lager shop is sharing something exciting this winter season. 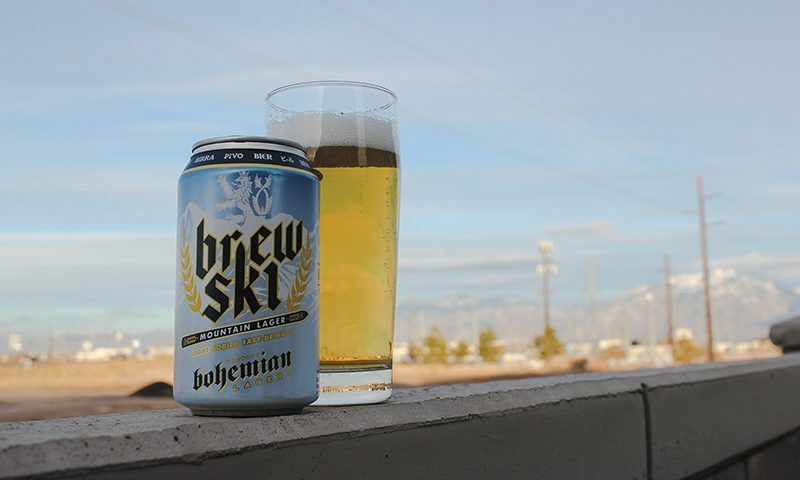 Bohemian Brewery re-launched the popular BrewSki Mountain Lager. Originally a popular collaboration with Solitude Mountain Resort, this beer spans all of the local ski resorts this go-around. Proving to be a hit with the support of just the single resort, the expansion is definitely warranted. You can find it served on draft with custom, specific-destination-branded tap handles at each of the resorts. In addition to the draft option, the BrewSki lager is available in six-packs at many of the local grocery stores. This is perfect for those of us who are a little less inclined to travel up the canyons to enjoy the winter wonderland. 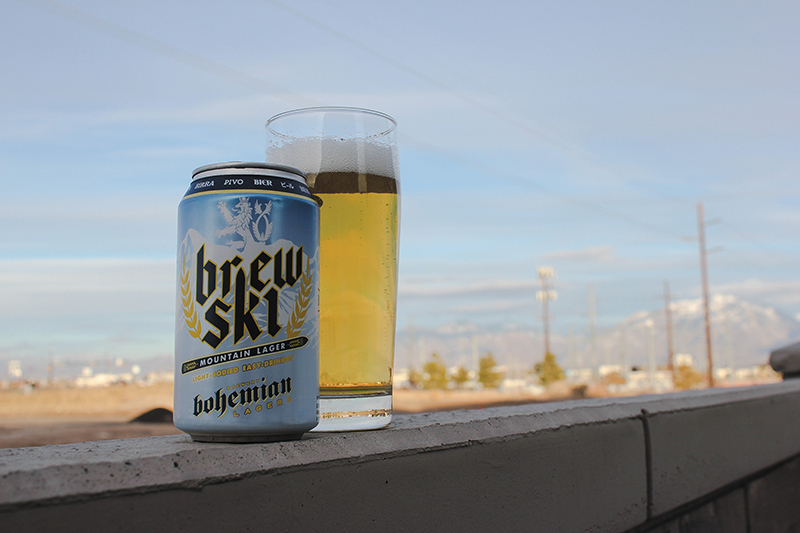 The BrewSki lager doesn’t stray far from what Bohemian does best. They stick primarily to a traditional-lager brewing process, using only the classic ingredients of water, barley, hops and yeast. Full disclosure: We are not skiers, so it is a good thing this is not a “Ski Resort of the Month” column. However, we can take a cold ride down something we do know a little about, Bohemian Brewery’s BrewSki Mountain Lager. Looking at the can instantly transports the mind to a cold playground. This is something a big beer company has tried to do for years, yet Bohemian seems to execute it with the thrill of a craft brewery. To get the setting right for this beer, we ensured that the 12-ounce, light-blue, snow-glazed aluminum was properly iced before cracking the top. Unlocking the treasure, the pour is effortless. It surges into a willi glass with a gurgle of micro–air bubbles. Gathering to a head of pure-white foam, a shallow barrier is formed between the lips and the reward. BrewSki Mountain Lager has a pale-yellow tint that beautifully reflects its surroundings in the glass. This feature of the beer is perfect for the snowy landscape of the resorts it’s served in. As the bubbles pop, the aroma showcases hints of slightly sweet fruit and herbal flowers. The mouthfeel of this legendary style is spot on, keeping it light and easy to drink. With modest sweetness and soft hop bite, it is enjoyable. If you tend to like traditional, mass-produced lagers or are a craft beer enthusiast who wants an uncomplicated break from crazier beer styles, this is the perfect brewski. Though German-style lagers appear to be simpler styles, there is nowhere to hide flaws. Because of this, pilsners are often regarded as one of the most difficult beers to make well and repeat. This brewery has churned out some of the most consistent and approachable craft lagers for the better part of nearly two decades. If someone in Utah is searching for this style of beer, we would certainly send them for a garlic burger and a lager at Bohemian.